When I think of the Canadian Football League (CFL), I imagine armies of passionate fans with painted faces and fierce loyalty. Fans that travel from coast to coast (not an easy feat!) to cheer on their favourite teams, each year culminating in the iconic Grey Cup. Despite the overshadowing of the mega National Football League (NFL), CFL players are every part athletic and polarizing. They run further (CFL fields are both longer and wider than NFL fields) and work quicker (3 downs to gain 10 yards as opposed to 4), and that makes for a great spectacle of athletic prowess. But what does it mean for fans, especially the youngest ones? Concerns about safety, particularly concussions, have haunted the sport especially over the last 10 years, but Football Canada is working hard to promote safe and inclusive participation across the country. 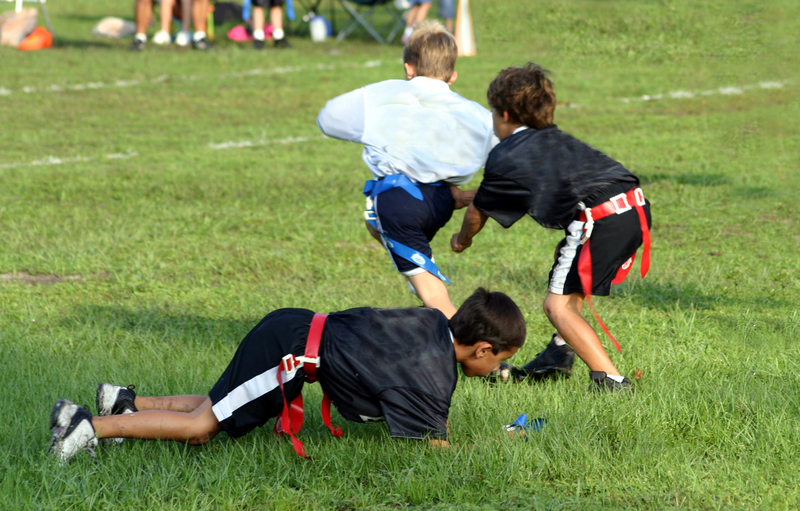 Coaches’ education is at the core of the Safe Contact program, which guides safe tackling and safe blocking techniques, as well as proper equipment fitting for all kids, regardless of the position they play. It lays the foundation for long-term athlete development (LTAD) in football, which starts with fundamental movement skills and builds physical literacy among children under the age of eight. If you’re interested, you can check out how Football Canada is committed to aligning the sport with LTAD in areas such as safety, competition structure, coach development, and inclusive participation. Ultimate football is a fun, fast-paced mix between ultimate frisbee and non-contact football that’s easy to pick up and play. Flag football is a fun way to introduce kids to the sport while developing football-specific skills in an inclusive, 5-a-side experience. Both offer fun and affordable alternatives to a non-contact sport. Still, have questions about the game? This resource, developed by Football Canada, should provide some answers for you. Kids will develop skills like running, throwing, catching and kicking, not to mention dancing when points are scored. Pur Instinct is a fast-paced, no-contact new sport created by Dominique Soucy of Quebec City, QC. The goal is simple: cross the field while carrying the ball without dropping it or getting touched by a defender. Combining the skills of football, soccer, basketball, baseball, rugby, handball, Gaelic football, and Australian rules football, Pur Instinct enhances players’ decision-making abilities, teamwork skills, and sportsmanship with opponents. However you choose to play, football and its fun alternatives are great games to play with the whole family.